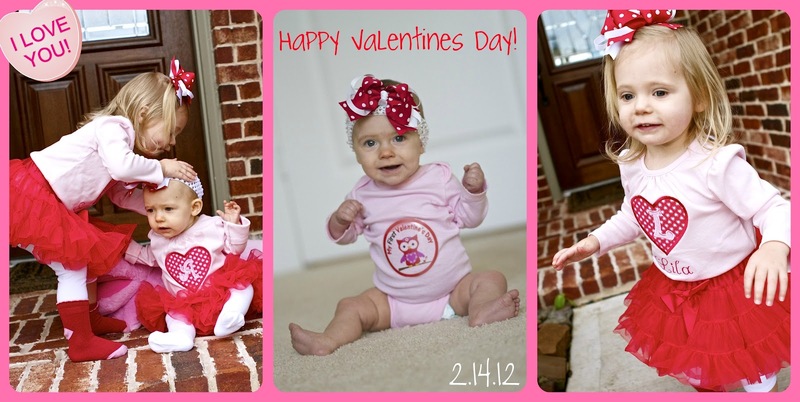 The Gentry's Journey: Happy Valentines Day! I hope that you have a wonderful Valentines Day today! The girls and I are spending it with the nice (hopefully) people at the airport to fly to Atlanta to visit Grammy and Granddaddy's house. Josh and I will have to do our celebrating sometime at the end of this month when he gets home!